A Very Special Christmas Eve at EC Montreal! Christmas Eve was very special at EC Montreal today. 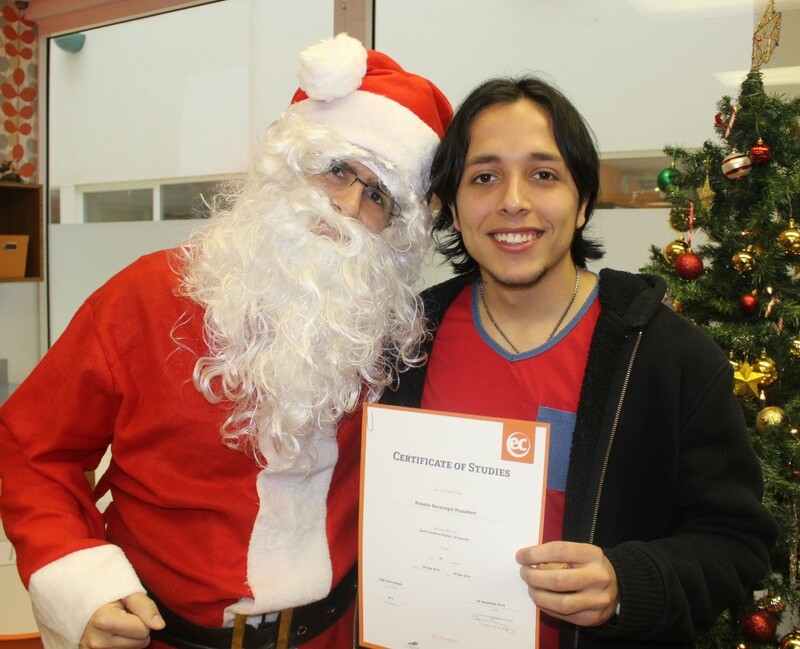 Santa came to visit us and distributed certificates to this week’s graduates! 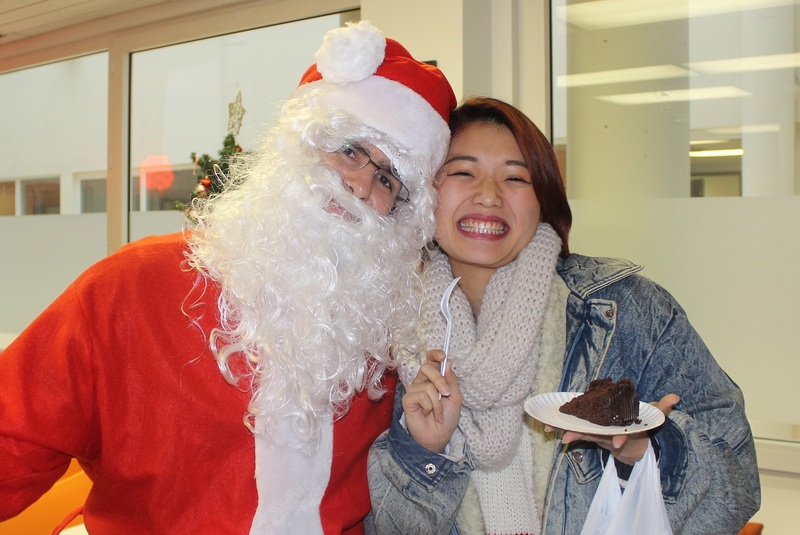 We served Christmas cake and took turns taking pictures with Santa and asking for our special wishes. It was so nice to see everyone with the Christmas spirit! Merry Christmas dear EC Montreal staff and students! Best wishes to all of you for a warm & magical Holiday! To those students who graduated, congratulations and safe travels home! 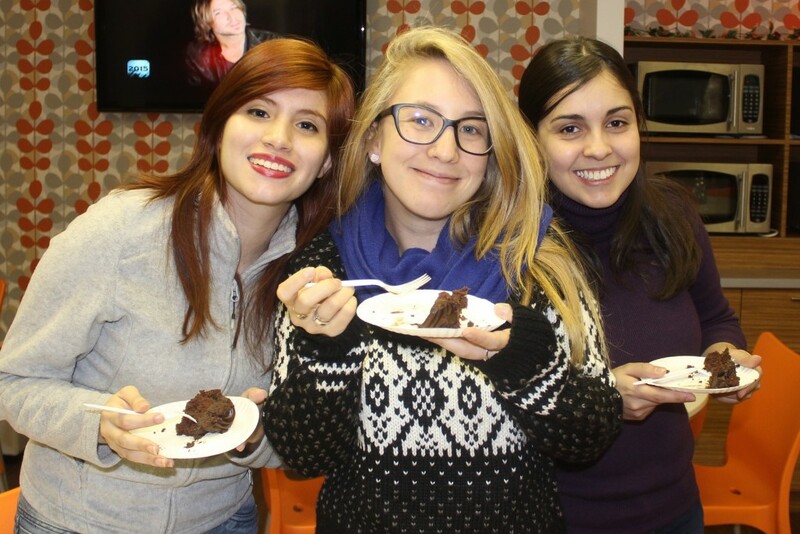 Taking English courses in Montreal sure is sweet!